This month OR&R responded to 10 incidents, including oil discharges, sunken vessels, and hazardous material releases. 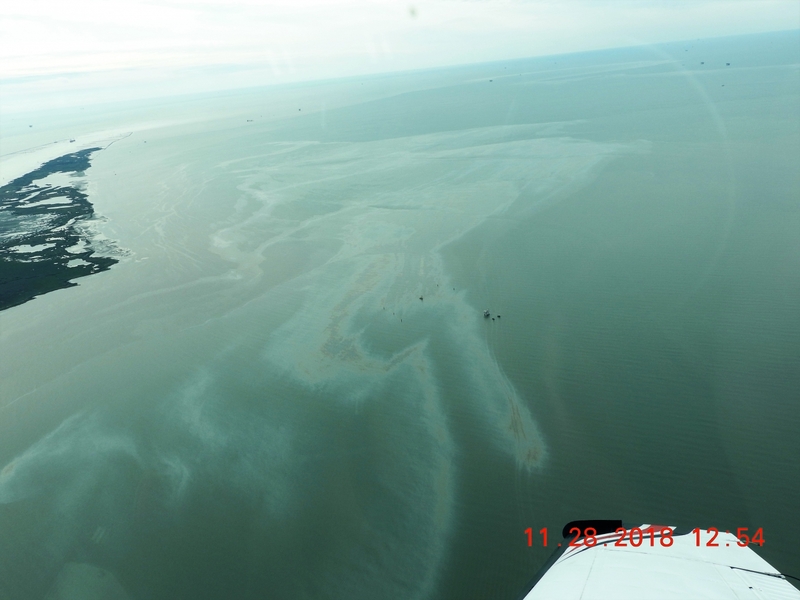 On Nov. 16, NOAA was contacted by the U.S. Coast Guard regarding an oil sheen in the Gulf of Mexico. The sheen, located 6 miles off the shore of Port Arthur, Texas near a platform, was reportedly from a discharge that had started the previous day. The Coast Guard requested a trajectory for the discharged oil. 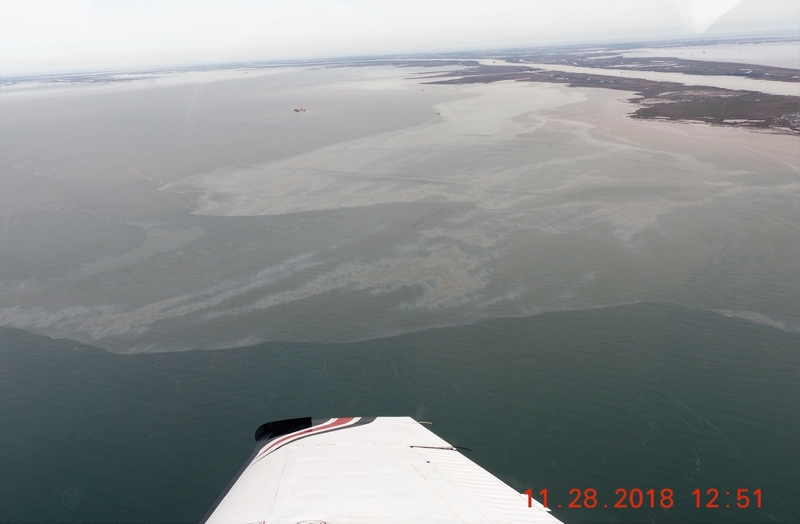 During an overflight on Nov. 18, the Coast Guard reported that there was no recoverable oil observed. On Nov. 15, an estimated 420 gallons of crude oil spilled from a flow line into a marsh in the Lake Paige Oil and Gas Field near Dulac, Louisiana. A cleanup and response team placed hard pollution boom and sorbents at the site. An additional amount of approximately 1,680 gallons of crude oil was also unaccounted for and believed to be trapped in the marsh. An in-situ burn took place on Nov. 19 to burn off the crude condensate. The cause of the incident is being investigated and assessment will be done to determine the impacts to the environment and the wildlife. On Nov. 28, the Coast Guard notified NOAA of a reported unsecured discharge near Breton Sound lease blocks 21 and 32 in Louisiana. A sheen of approximately 15 nautical miles by 50 feet heading in an easterly direction was observed during an overflight. The Coast Guard requested NOAA report on the fate and projected trajectory of the discharge, as well as the natural resources in the area that may be at risk. The discharge was discovered to be the result of a pinhole leak caused by excessive corrosion. 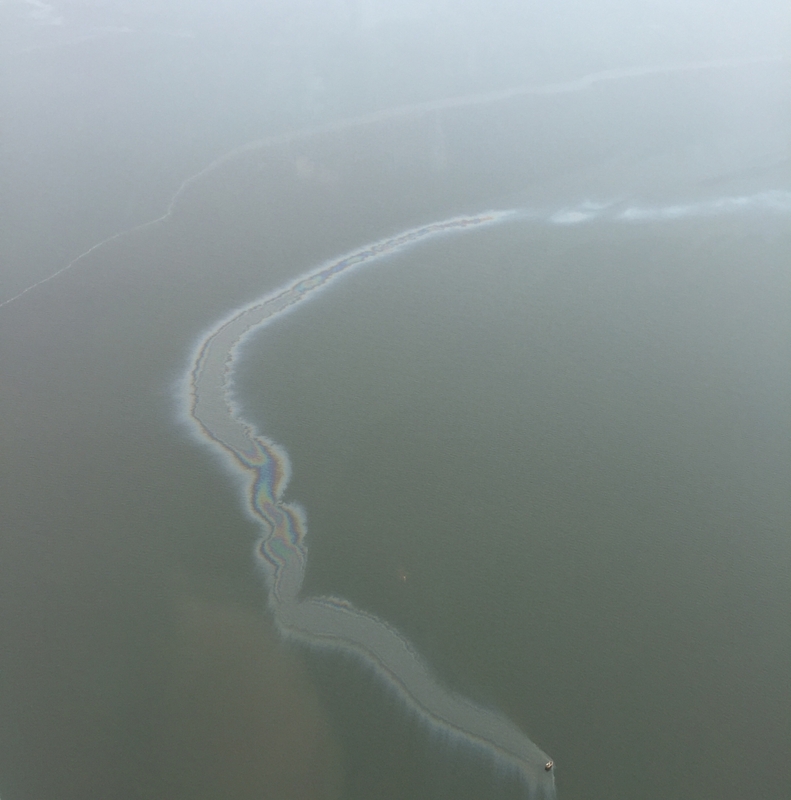 On Nov. 28, the Coast Guard contacted NOAA regarding a discharge of crude oil from an overflow storage tank at a facility in Venice, Louisiana. The Coast Guard asked NOAA to provide a trajectory analysis using information from overflights conducted throughout the day. The discharge originated from a crack in the casing on an inactive well. Responders deployed pollution boom around the well, which was still actively discharging as of Nov. 29 but has since been contained. 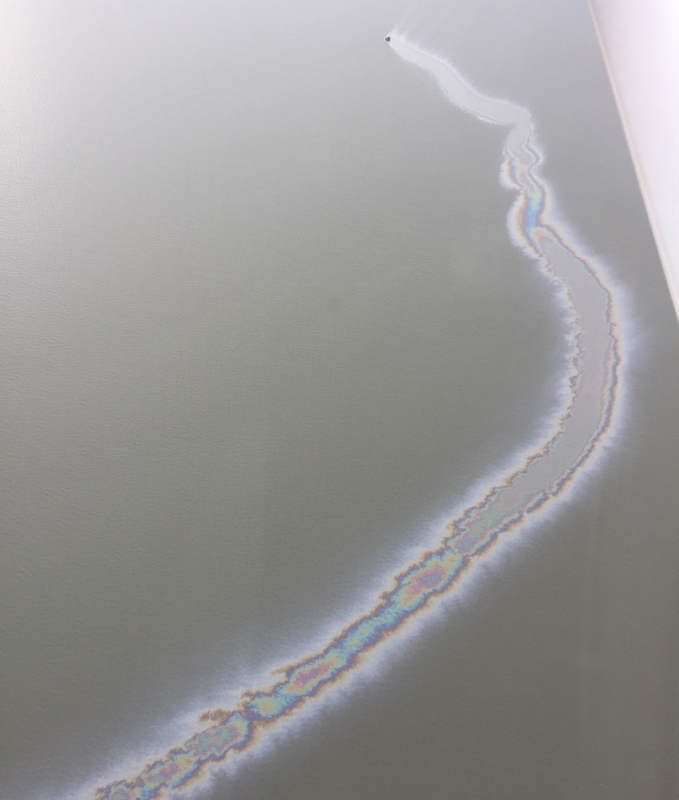 A mile long rainbow sheen was observed during an overflight.